My beautiful niece, Jaime came by for dinner one evening last week. My son, Jeffrey was home for the holidays and my younger son, Alex had nowhere he needed to be so it was just the four of us. We had a lovely meal which Jeffrey cooked, a bit of wine and entertaining conversation. Part of the evening was spent sorting through two old jewelry boxes which had belonged to my mother and grandmother. The vast majority of the items in there were of the costume variety. 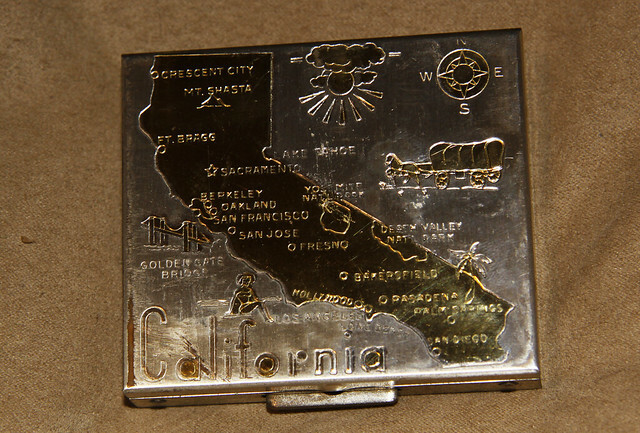 There were a few fine pieces among those and a number of articles that one wouldn't expect to see in a jewelry box. Since I have sons, many of the gems, both real and imitation, should find their rightful place with Jaime. She has a whimsical sense of fashion, and some of the pieces fit right into her style of dress. 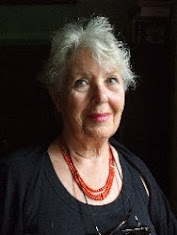 She filled up a small bag with broaches, rings, pearls and other accessories that caught her fancy, and which once belonged to her grandmother and great grandmother. I know they'll be in loving, appreciative hands. I spent the next morning photographing a few of the many pieces which remained behind - none of which are jewelry. I hope you'll enjoy seeing a few of the mini treasures below. 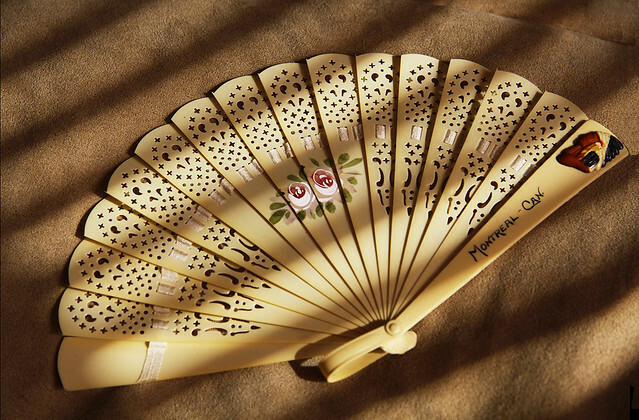 This souvenir fan would have most likely belonged to my grandmother. She always seemed to have a handheld fan of some sort nearby. 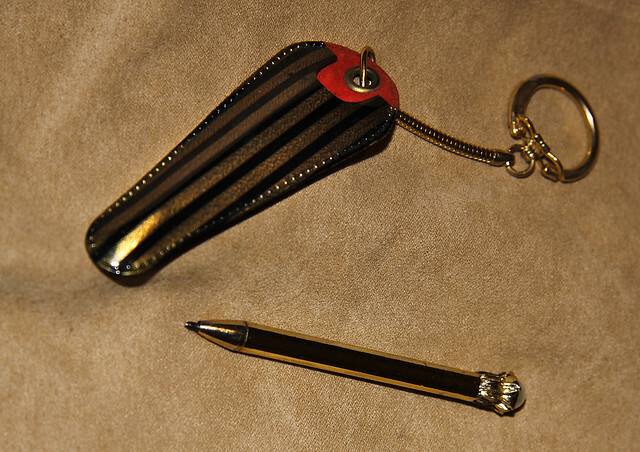 At first sight, it would appear that this little case was a compact - the kind one would use to powder a nose or for a quick check in the mirror to see how the lipstick is holding up. 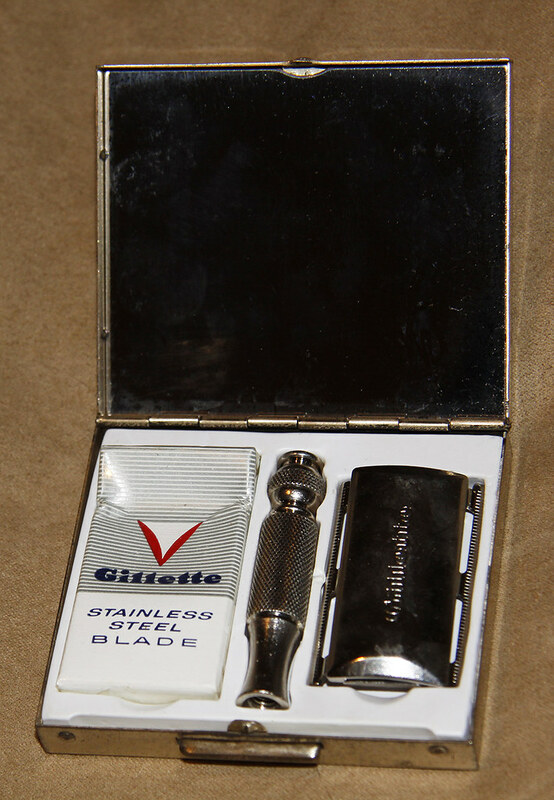 I was surprised and amused to find this razor set inside - complete with a packet of blades. 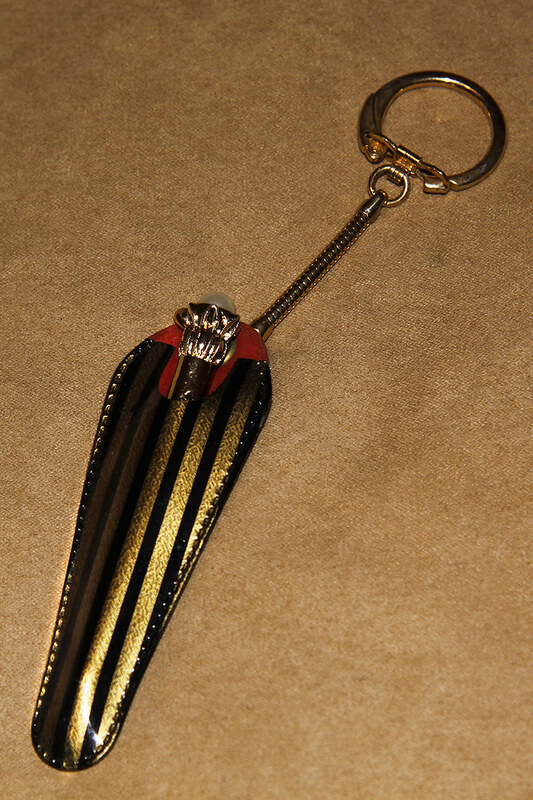 This keychain was another little surprise. It's handy to have a ballpoint pen whenever you need one. 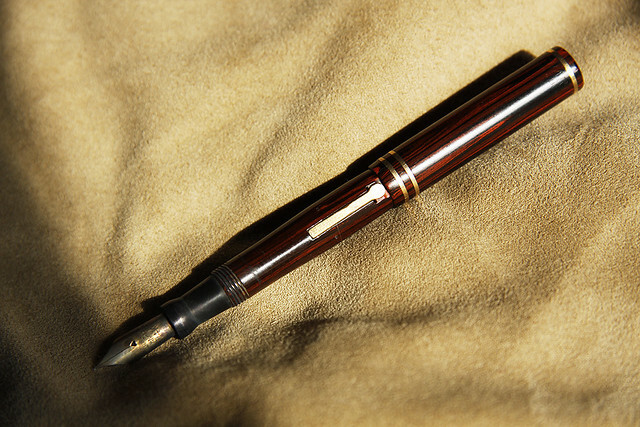 Of course, if you prefer using a fountain pen, you'd probably like this one instead. 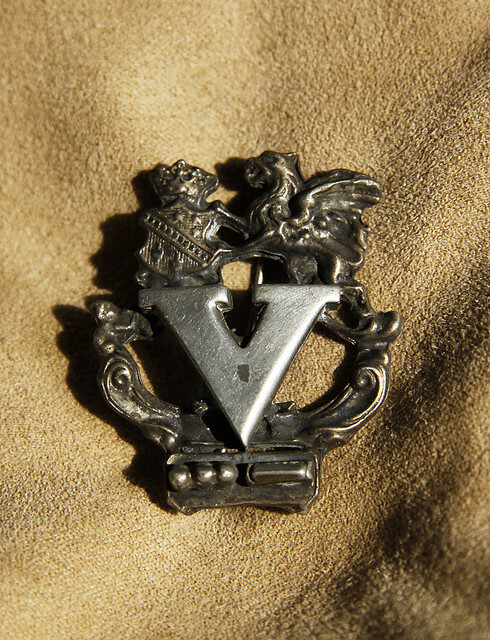 I would like to know who this "V is for Victory" pin belonged to. 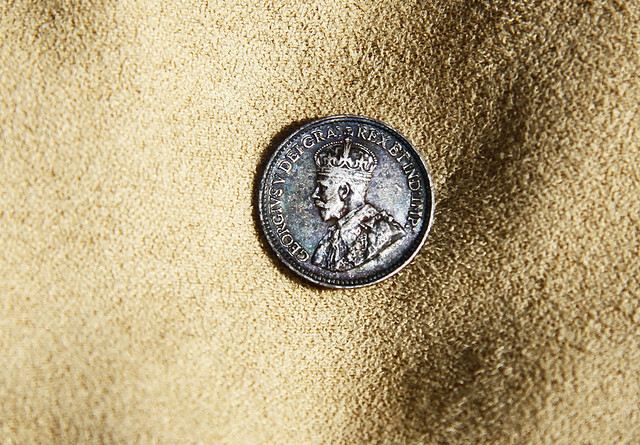 Last but not least, another V - King George V adorns this 5 cent piece which is actually as small as a Canadian (or American) dime of today. Flip it over and you'll see that it dates back to 1918. 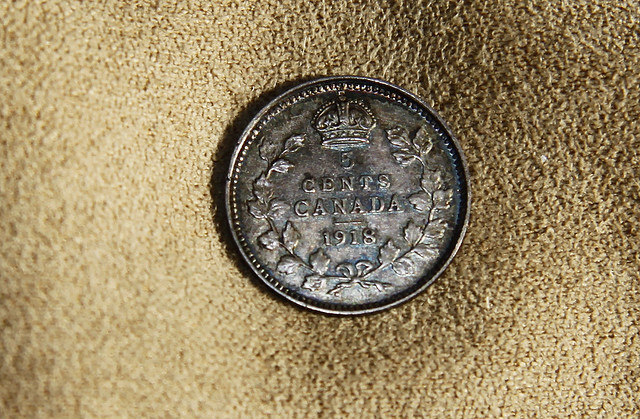 Although the coin looks larger in this image, I had just zoomed in for a closer view. 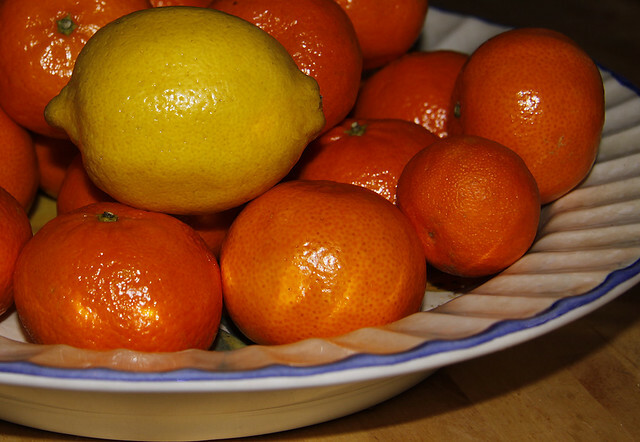 This bowl of Mandarin oranges and one lemon sits in my kitchen. The colours caught my eye one morning, and so I decided to share them with you. Enjoy the oranges but please save the lemon for tonight's fish dinner. And now, without further delay, here are the Posts of the week. The icon below is yours for the taking if if your blog post is named as a Post of the Week - either as top post or as a runner up. "And all the night's magic seems to whisper and hush. And all the soft moonlight seems to shine in your blush"
The above lyrics are from the song Moondance by Van Morrison. It ran through my head the other night as I walked around the lake, full moon up above. The sky was cloudy, but there were clear patches and every so often the moon would come into focus. 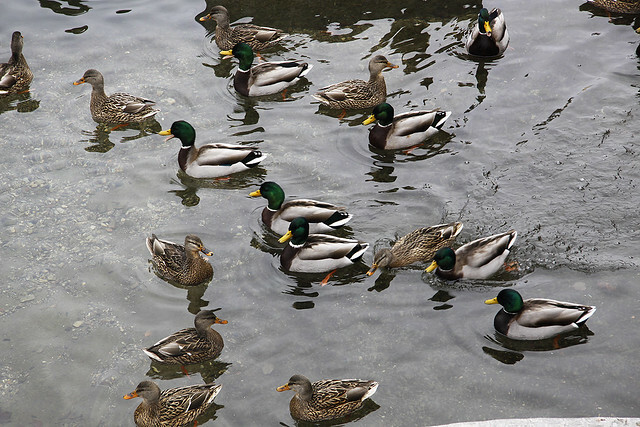 Below are a few photos taken around the nearby park paths and pond. 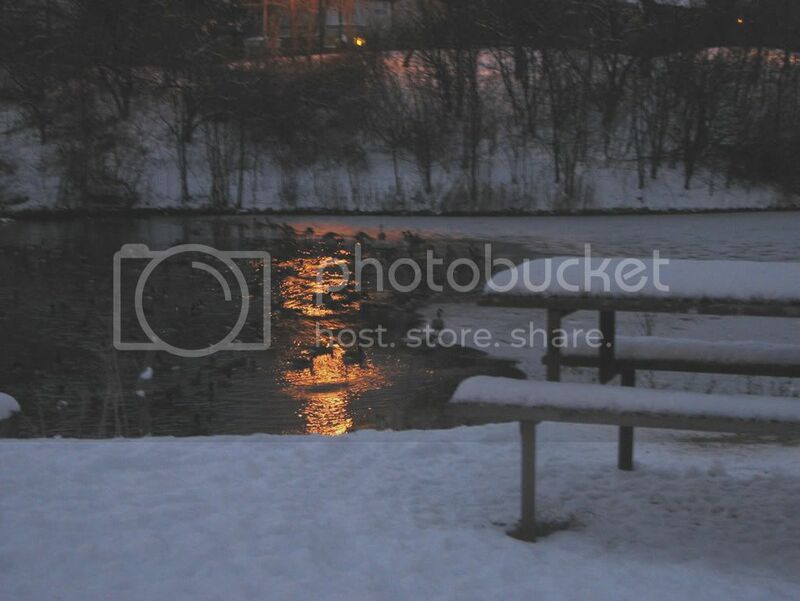 The fresh-fallen snow helped to reflect the light. This light source is a nearby lamp post. 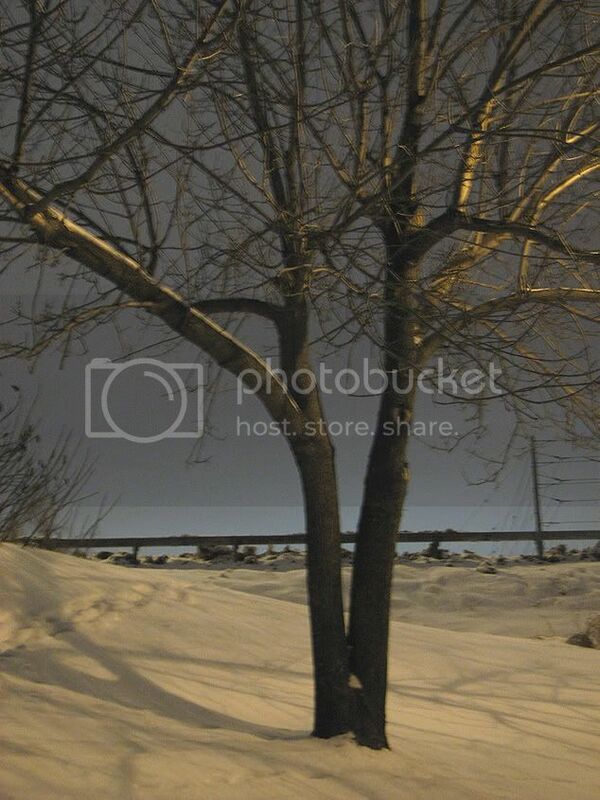 I just like this tree and tend to photograph it fairly often. Moon and clouds worked together to tease and delight. 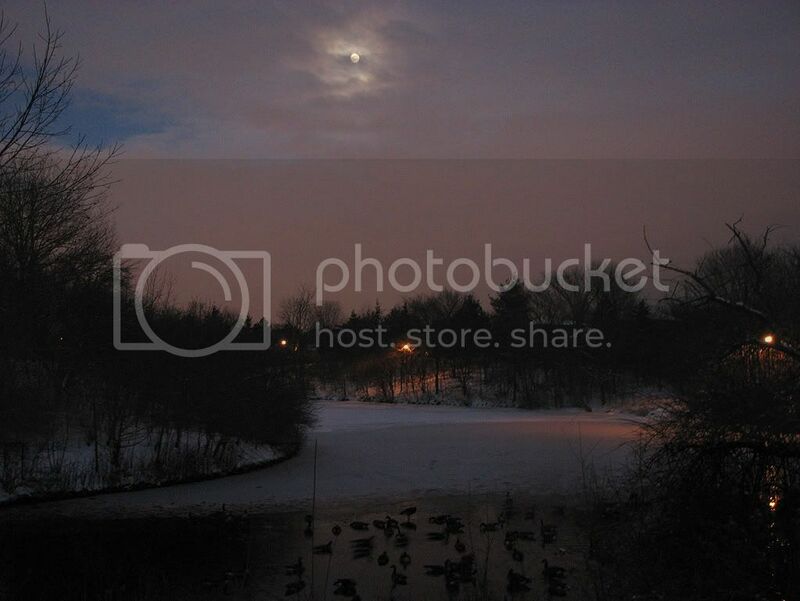 High above the pond, the moon made a brief appearance before disappearing to await the approaching blue sky. 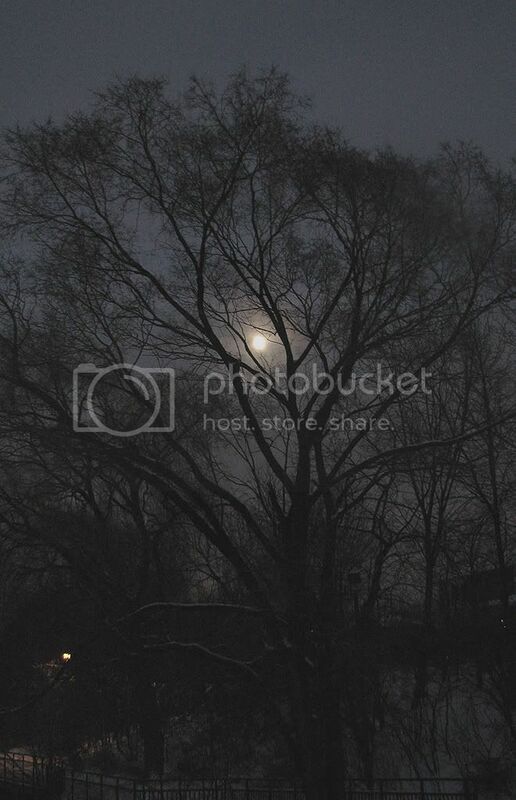 As the wispy clouds threaded their way across the sky, the misty moon peeked through the branches of the trees below. A lovely golden orb balanced on delicate tree fingers. There were times I felt that I could reach out and touch it. Along the tree-lined path, I was interested in capturing the moon's light, but discovered that lights from the homes across the pond were perfectly lined up to appear at the left of each tree. As my walk neared to a finish, I paused to watch the geese swimming in the amber light of the lamp post. This post was a repeat from January, 2009. 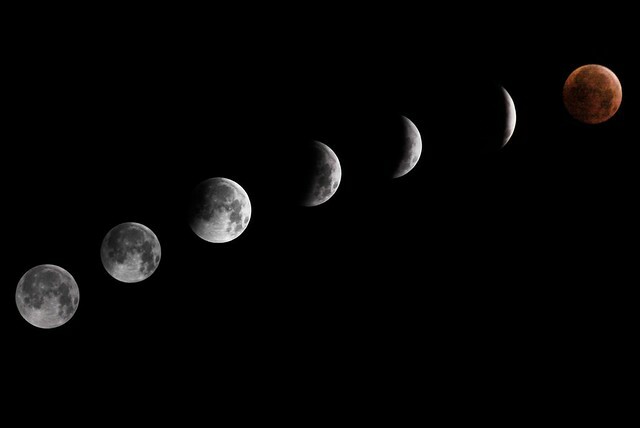 Late Monday night, we experienced a once in a lifetime total eclipse of the moon which coincided with the winter solstice. 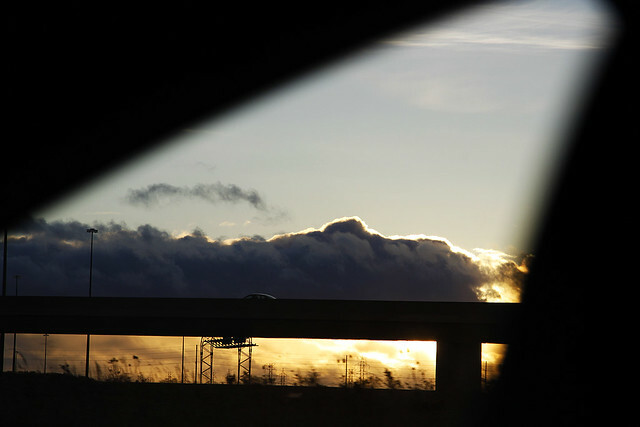 All evening long, I would peek outside, and return indoors quite disappointed to see overcast skies. 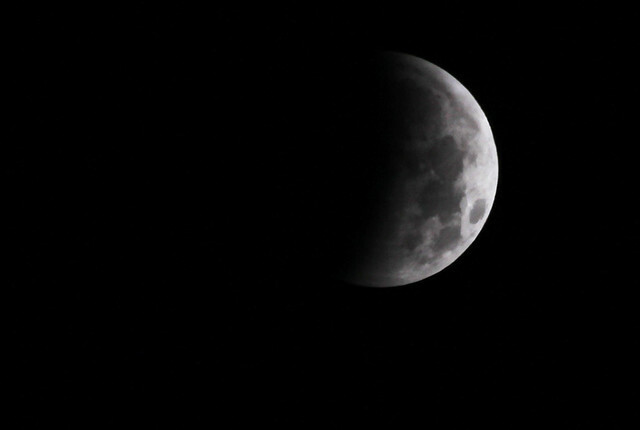 The eclipse was to begin after midnight and peak around 3:15. I was still hopeful but it didn't look promising. Then at around 11 p.m., I began to see patches of clearing in the sky. 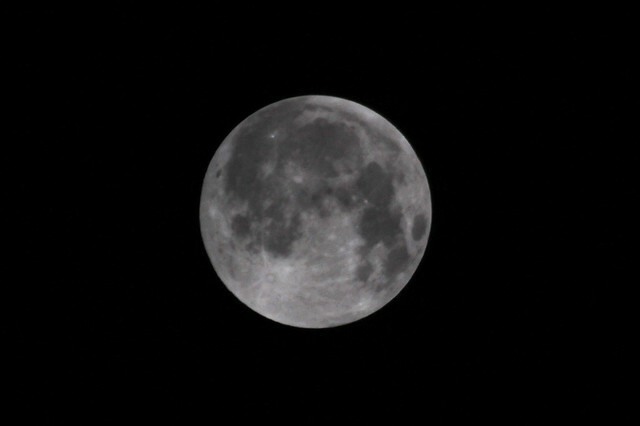 The full moon made a brief appearance and then vanished once again, teasing me with a game of hide and seek. 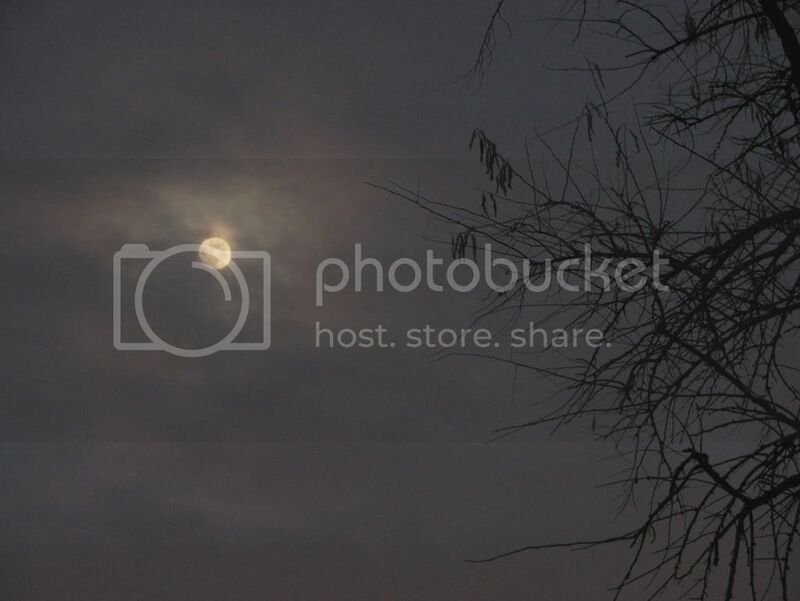 A half hour later, the sky was mostly clear and the moon shone brightly in the southern sky. Thank you, Universe! Earlier in the day, I had set up my tripod and was ready to go. I brought it outside with my camera and discovered that there was no way I could focus on the sky and get beneath it in such a way that I could actually see the moon, much less focus on it. And there was nothing that I could have used to raise the tripod high enough to facilitate the task. 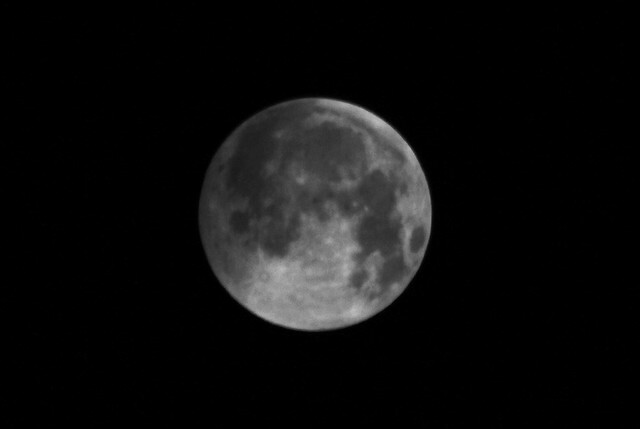 The camera came off of the base and back into my hands where it spent the rest of the night, in 15 minute intervals focused on the moon. I held my breath for each shot. Some worked out well enough. Others not so much. This first image was taken about an hour before the eclipse began. 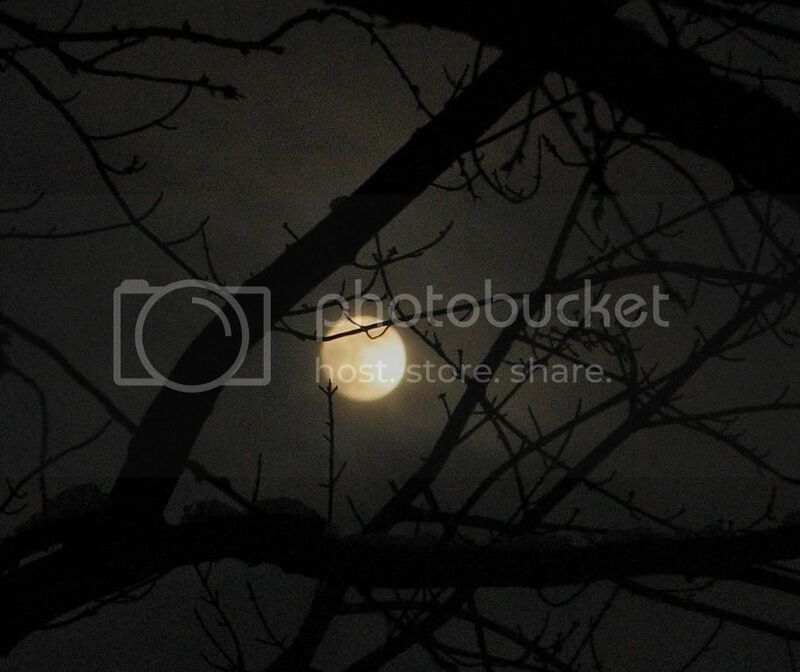 The brighter the moon, the faster the shutter speed. This means that shaking or twitchy hands had little negative effect on the photo. This photo looks much like the first but you can see the penumbral shadow beginning to slip over the left side of the moon. A while later, the eclipse is well underway. 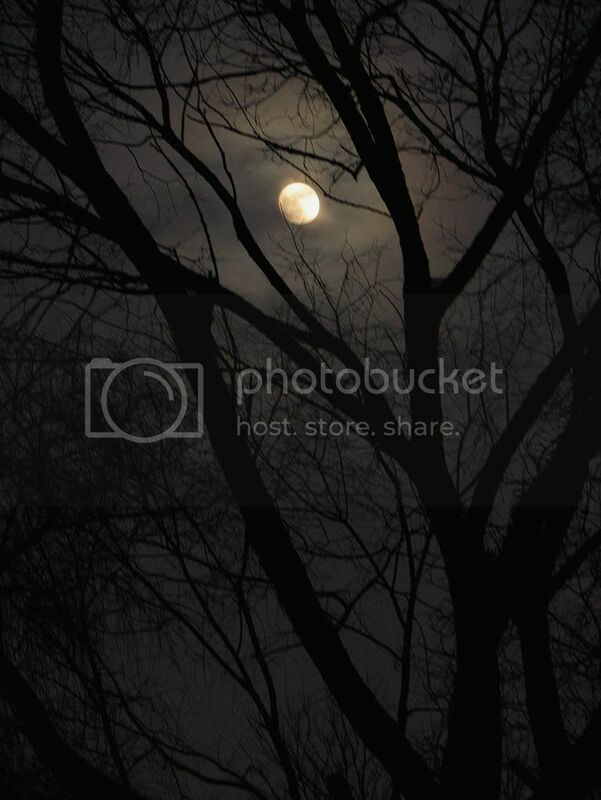 Nearly one quarter of the moon is in darkness. Halfway there, it looks as if the moon is grinning off to the right. It's getting late but it's so exciting to be a witness to this celestial event. Nearly three quarters eclipsed. 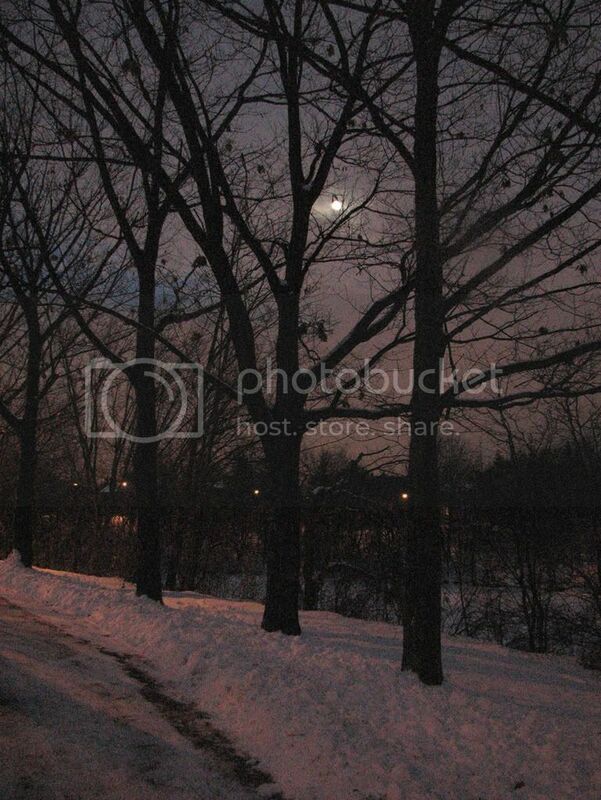 As the moon's light diminishes, I need to slow my shutter speed down in order to allow enough light to see the image. This is where my heavier camera lens begins to make it difficult to hold still enough. 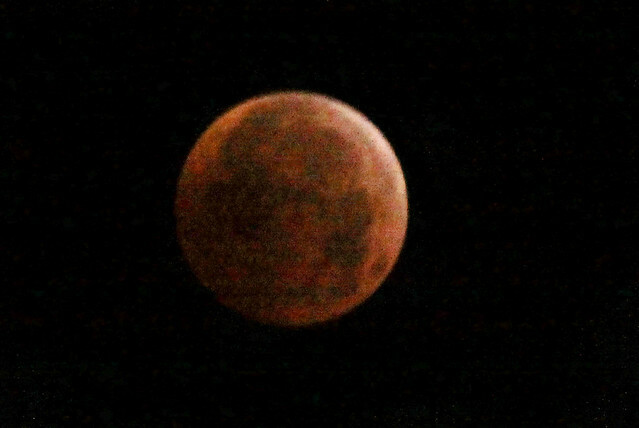 Finally, at 3:15, we see a total eclipse of the moon in all her reddish, copper glory. This was the most difficult image to capture as I needed to decrease my shutter speed considerably and raise my ISO to allow as much light as possible. This is the reason for the blurred and "noisy" image. 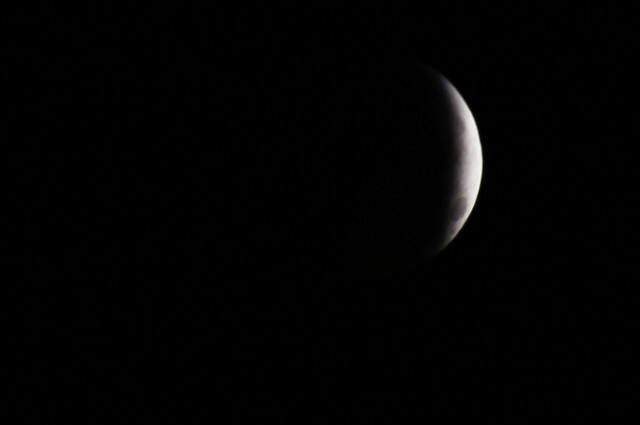 It was the best I could do without a tripod and all things considered, I'm not unhappy with the results. Reb over at Sibu Pegasus Power took some impressive shots of the eclipse and some starlight with her point and shoot digital camera. 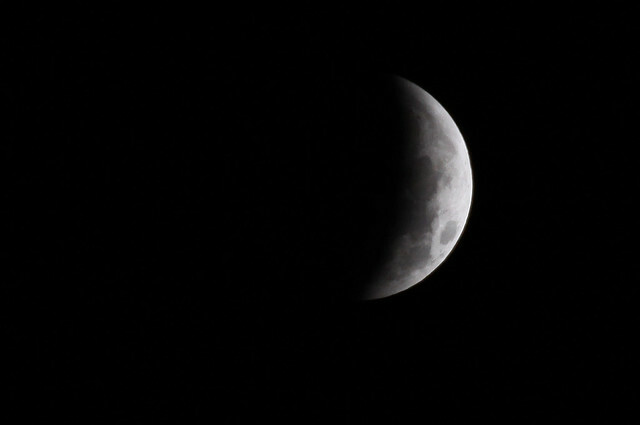 She managed a nice capture of the fully eclipsed sphere with very little shake and blur. She also had the great idea to show three stages of the eclipse within one image as often seen on astronomy sites online. I've borrowed that idea and done the same with my images below. Thanks for joining me under the moonlit sky. Wishing all who celebrate, a very Merry Christmas. 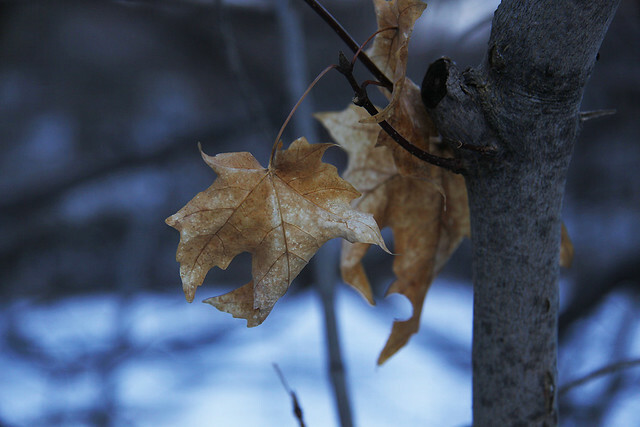 A few dried maple leaves remain despite the icy cold weather. This small branch of withered foliage caught my eye the other day. 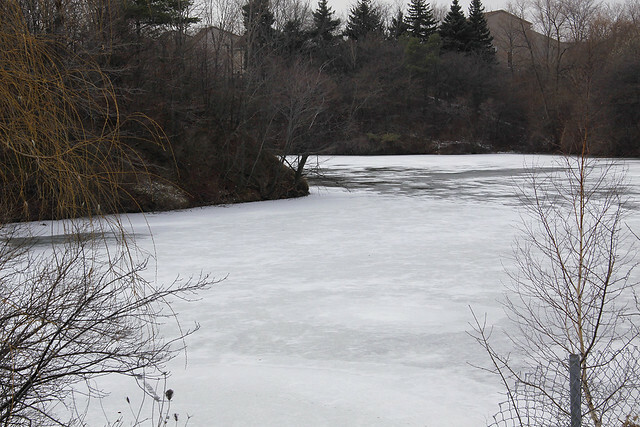 The frozen pond can be seen in the background. 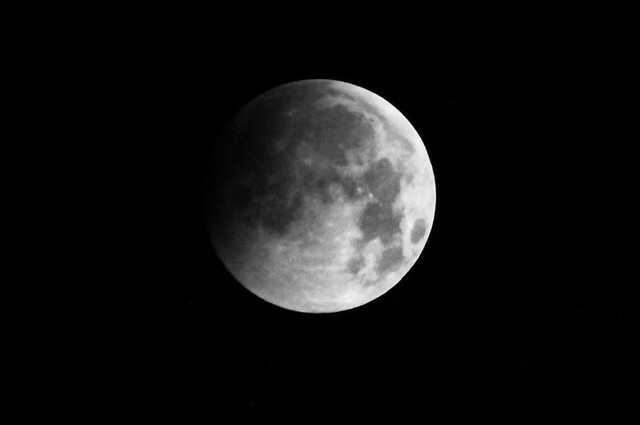 Please come back tomorrow when I'll post a few images from yesterday's lunar eclipse. And now, without further delay, here are the Posts of the week. The icon below is yours for the taking if if your blog post is named as a Post of the Week. This week, I'm only listing a few blog posts which have made me laugh or smile. I'm hoping that they'll do the same for you. In no particular order, they're all top posts of the week. Enjoy! 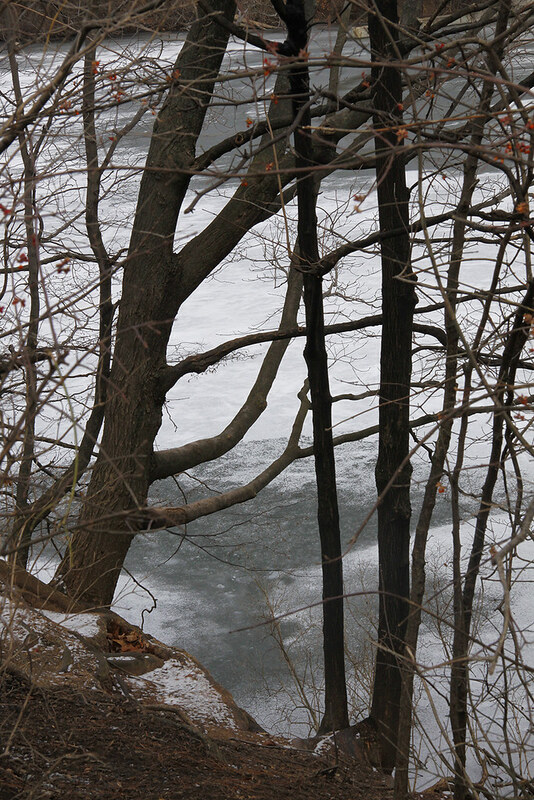 We haven't seen much snow yet, but icy weather has arrived, and my local pond is mostly frozen over. 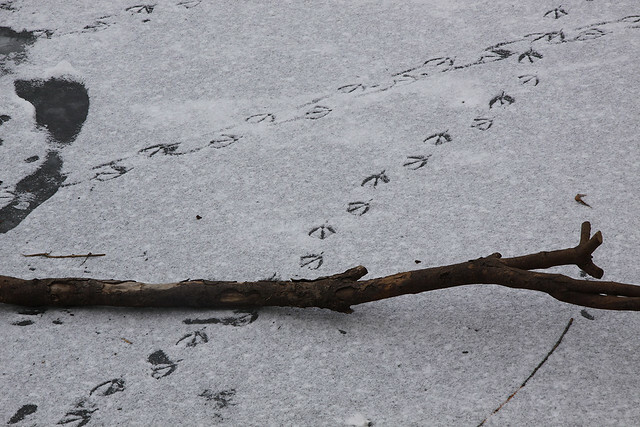 A light dusting on the surface reveals the paths taken by the local duck population in hopes of finding a bit of open water. And they found it right by the intake from the area's storm drains. Let's hope that the water remains clean and we have no repeat incidents like we had this past spring. 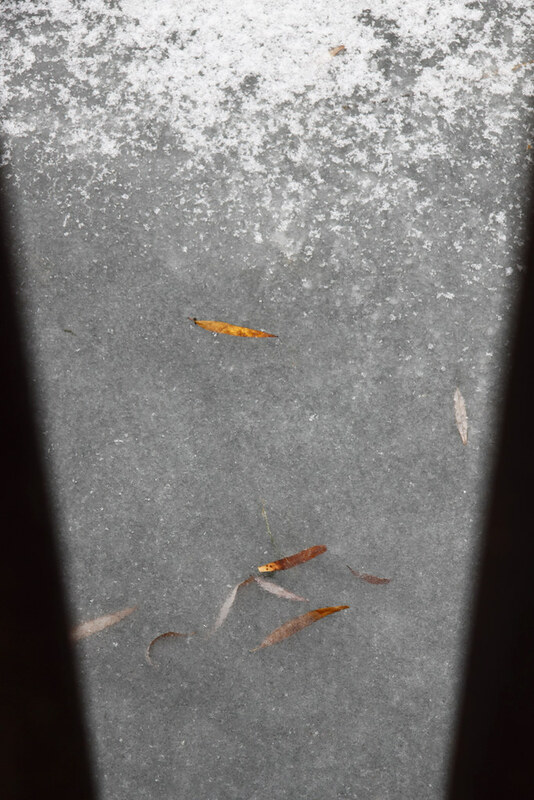 Peering through the dock rails, you can see that weeping willow leaves continue to fall upon the frozen pond, while other have been trapped beneath its icy surface. The shoreline appears cold and a little less welcoming, but always beautiful. After a visit to a relative's home a couple of weeks back, one of my cousins asked if we minded dropping her off in the downtown area of my city so that she could more easily access transportation to her own home in Toronto. The drive along the highway was pleasant as we caught up on chitchat about ourselves and our kids. 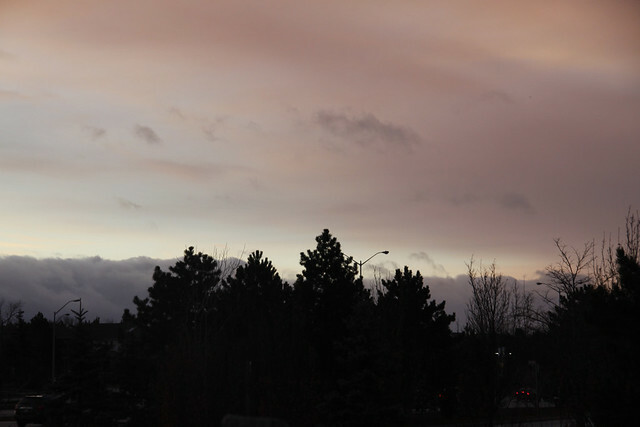 A hazy, smokey, peachy mauve dusted the sky to the south of the city. 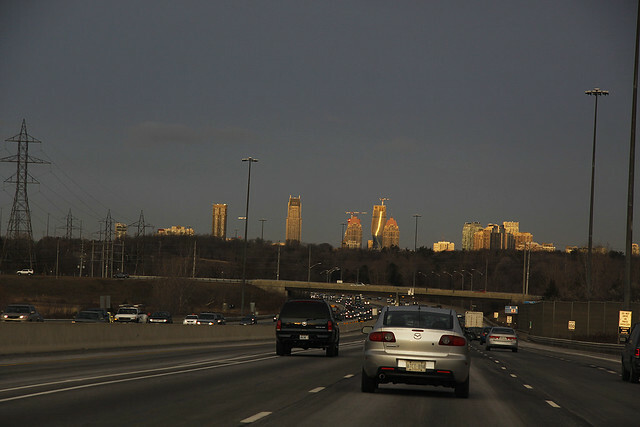 Straight ahead, we could see the dazzling, gilded buildings of the downtown core. Keep an eye on that incomplete tower in the middle - the one with the taller of two cranes on top of it. We're going to take a closer look. The two upcoming photos were taken when it was mostly dark and from a moving car so please excuse the quality. 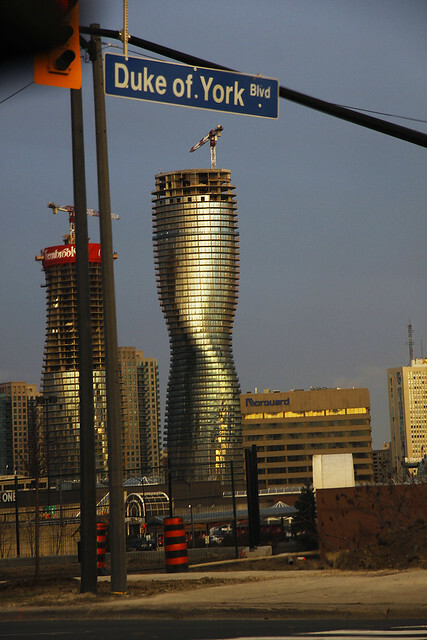 This curvy condominium-to-be is one of two Absolute Towers in the making, which for obvious reasons have been dubbed the "Marilyn Monroe Towers." Evidently, the construction is taking much longer than expected. Much like its namesake, they find her to be complicated. 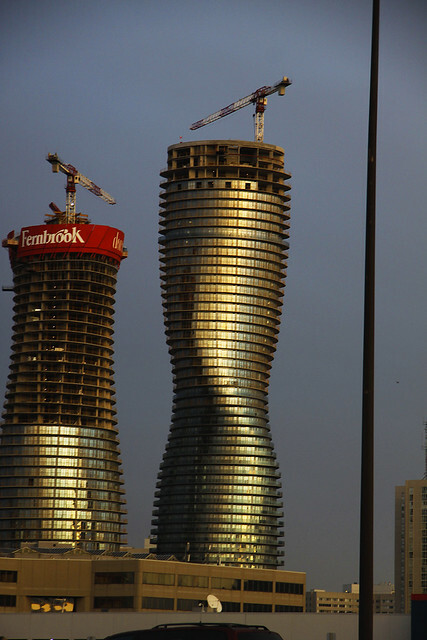 Mississauga has always had a rather boring skyline but it appears that the blonde bombshell might just add a bit of glitz and glamour to our city. What do you think? 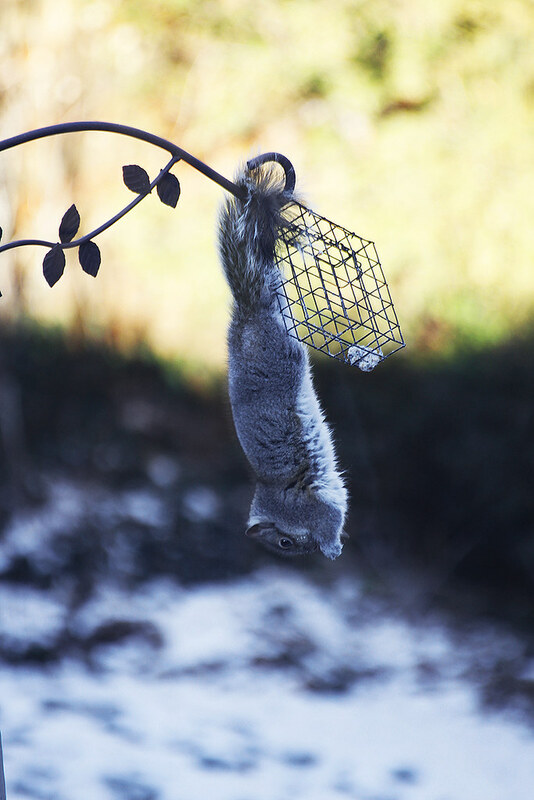 This little guy worked very hard to get at the last bits of suet on this sunny, but cold morning. This was taken from a friend's house, through the two panes of glass of her upstairs window, one yard over. He spent such a long time at the feeder just begging me to go get my camera - so of course I did. 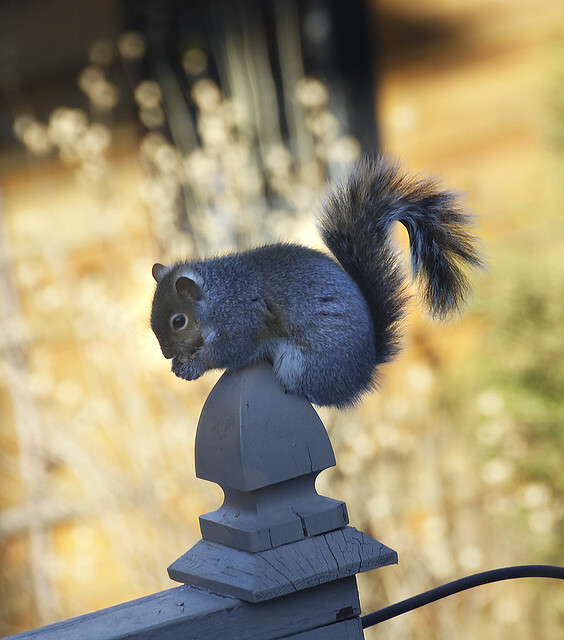 After he worked the last bit of suet from the cage, he relaxed atop a nearby fence post to finish it off. He earned that treat.